Engel had to get through Jack Salter in the quarter-finals on his way to winning his second Aussie Millions ring. Three years ago, Ari Engel finished second in the Mix Max Event at the Aussie Millions. Today he went one better and won his second Aussie Millions ring since the Main Event title he won in that very same year. In an exciting tournament over two days, Engel excelled at full ring, six max and heads-up play to bank A$65,400, beating Charlie Hawes in the final match of the eight-player heads-up bracket. This is by far the biggest cash of Hawes' poker career, eclipsing a second place in the 2015 New Zealand Poker Open. 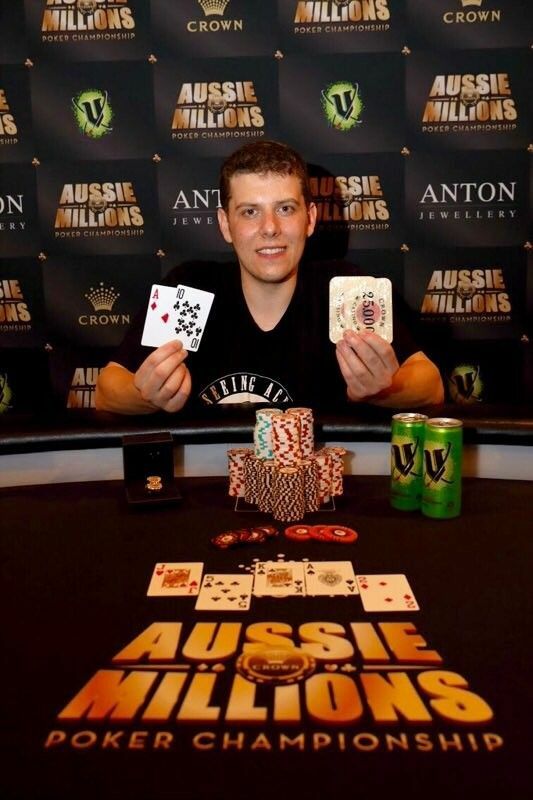 Engel, who in 2016 took home a career-best A$1,600,000 for winning the Aussie Millions Main Event, says that the Crown is "by far his most profitable venue in the world to play." "I mean obviously it's just because of one tournament, but why would I not come back?" he said. "Just being at the Crown there's automatically a sense of deja vu. It feels good, but I'm too tired to feel much." It looked like the pair were going to postpone the final match until later on Wednesday, but the decision was made to play out the tournament, with Engel emerging victorious. "Charlie played really well," Engel said. "There's a good chance if the cards were reversed he would have won." *Payouts result of heads-up deal. 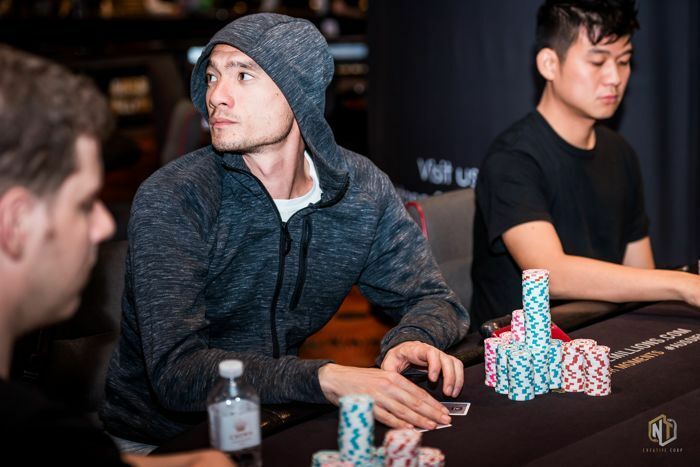 With 35 players remaining at the start of the day, the likes of Julien Sitbon (35th - A$2,330), Andreas Klatt (33rd - A$2,330), Kenny Hallaert (32nd - A$2,330) and Dzmitry Urbanovich (31st - A$2,330) all bust early. Marc Macdonnell (14th - A$3,345) and Aymon Hata (13th - A$3,345) all missed out on the heads-up portion of the tournament. There were upsets in the first two matches with the top two seeds in the heads-up portion of the tournament bowing up. Chip leader at eight-handed Casey Kastle's match was the longest and it eventually resulted in him bowing out at the hands of short-stack Alex Lee. Jack Salter was eliminated by start-of-day chip leader at the quarter final stage. QF2 was the match of the round, pitting five-time Aussie Millions final tablist Jack Salter against former Main Event champion Ari Engel. Eventually it was Engel who booked his place in the semi-finals. "Just being at the Crown there's automatically a sense of deja vu. It feels good, but I'm too tired to feel much!" "He had all the pressure because I was the short stack," said Engel. "I got it in bad first hand and doubled up, and from then on it was kind of a match. It was really cool to be able to play a guy that plays High Rollers heads-up and not for too much money at that stage. It was a weird experience!" Meanwhile, Charlie Hawes defeated Friedrich Martin, and Sarah Bilney lost out to Hwan Park, meaning Biliney added A$9,835 to the A$8,485 she won at the Shot Clock Shootout final table yesterday. Engel quickly won his heads-up match, eliminating Park who takes home A$23,655 for his efforts. The second match was a long one, with Lee taking on Park. Eventually, Hawes called a shove from Lee on the river with top pair. Lee turned over a rivered pair which wasn't enough to keep him in the tournament. 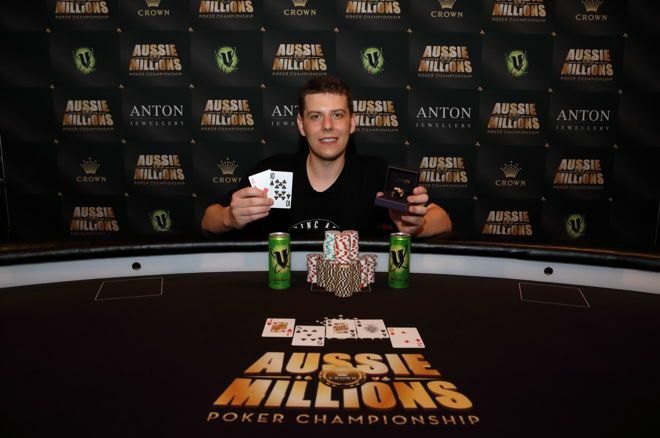 The final heads-up was between Engel (1,403,000) and Hawes (1,440,000) got underway late at night, and at the end of it it was Engel who walked away with his second Aussie Millions ANTON Championship ring. "I feel really good here," said an exhausted Engel after winning. "I have friends here railing so it's really good."